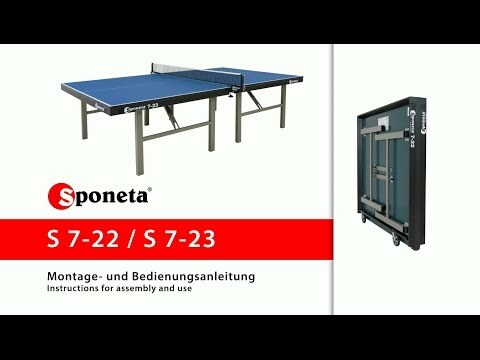 The Sponeta Pro-Competition Indoor Table Tennis Table folds like a picnic table, with the legs collapsing inside the table halves. It’s a 2-piece table with a clamp-on net and post set that must be removed when folding. It has an excellent play quality (25mm table top) and a very thick frame.